It was two degrees cooler at 5:30 this morning. Humidity was still high but the 76 degrees along with a nice breeze did make our 3 miles seem nicer. It’s taking us about 46.5 minutes to do the 3 miles. Working to get that time down but we may have to wait for cooler temperatures. Today was another accounting day. It’s nice that we are making progress and great when we get to mark items off the list. We have taken on a lot more since our Mom’s deaths and taking care of their estates. Sure will be glad when we are caught up again. We also had to show ten of Mama Ruby’s apartments to a prospective buyer today. We are hopeful. He asked for more accounting information and is still interested. Probably will not know anything until sometime late next week. Things seem to go much more slowly than we like. God’s will be done. We did not go back to the gym this afternoon, nor walk. 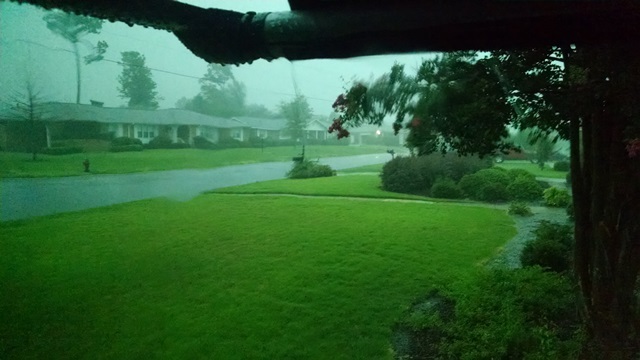 We had a storm! 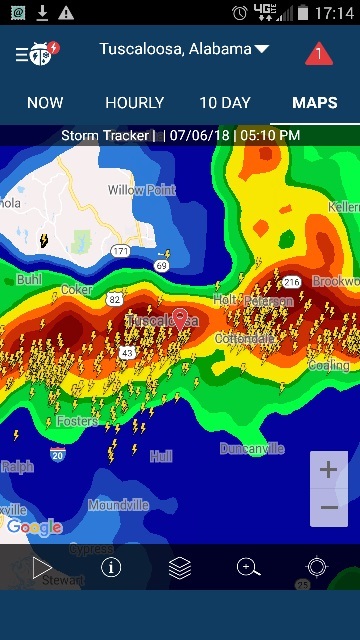 It was a huge thunderstorm with lightning and thunder like we haven’t had in a long time. There were road closures due to flooding and we are still under a flash flood warning. Interestingly there was really not that much wind associated with this storm. We always pull the slides in with storms so as to not risk damaging the slide topper in the wind. We didn’t bother today because there was little wind predicted. Really the storm was much worse than expected and formed right on top of us or we probably would have turtled up anyway. 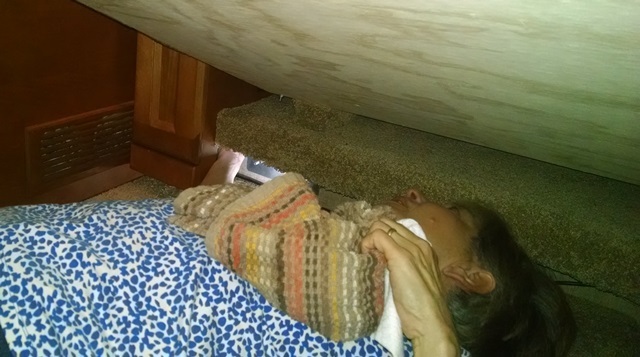 Unfortunately, we had a small leak on the driver side bedroom slide. Wind was probably blowing the rain in past the slide gasket. We were able to get the water up with a towel and dry everything with a fan but, another thing for our Red Bay list. 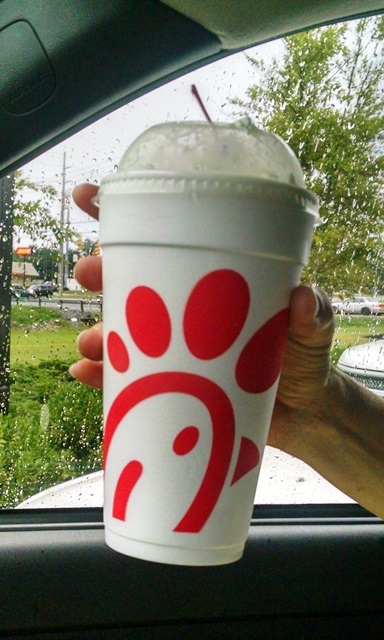 After the storm we decided to get a Chick-Fil-A peach shake. That was supper. It was a good day.